Item description: In this diary entry, 26 March 1863, Daniel Coleman, of Athens, Ala., marked the second anniversary of his enlistment at Fort Morgan with a nod to the casualties. He was commissioned into the 33rd Alabama Infantry as a captain. Item citation: in folder 1 of the D. Coleman Diary #3317-z, Southern Historical Collection, Wilson Library, University of North Carolina at Chapel Hill. 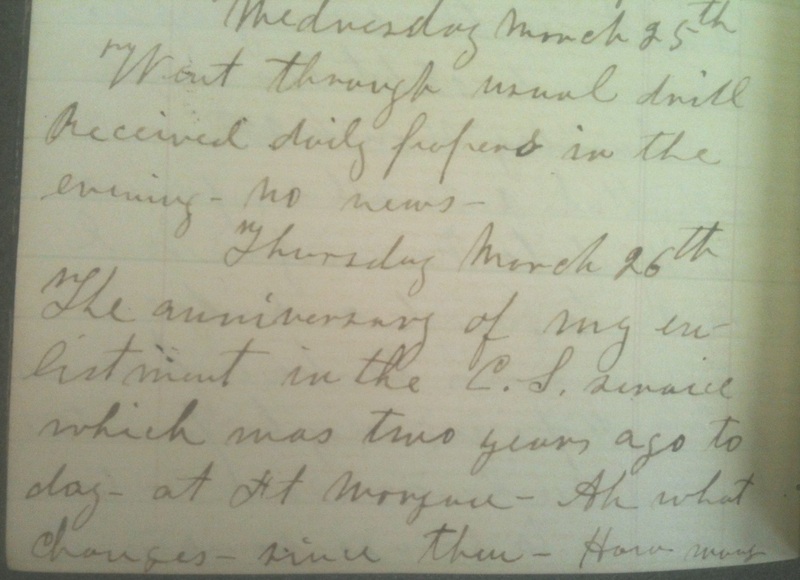 This entry was posted in Southern Historical Collection and tagged 33rd Alabama Infantry, casualties, Daniel Coleman. Bookmark the permalink.